Lighting Products There are 16 products. Banding Rotary Wheel for photography, sculpting and painting with airbrush and sprays. 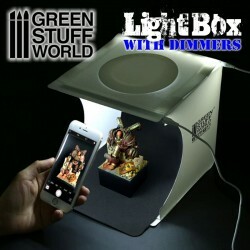 Green Stuff World's portable Lightbox Studio for the photography and exhibition of your miniatures. Easy to use Organic GLASS sheet for realistic glass effects and windows.